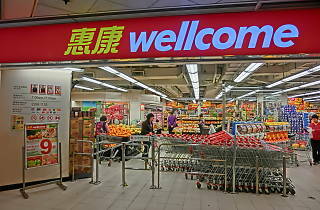 Wellcome is one of the largest supermarket chains in Hong Kong, with stores all over the city. 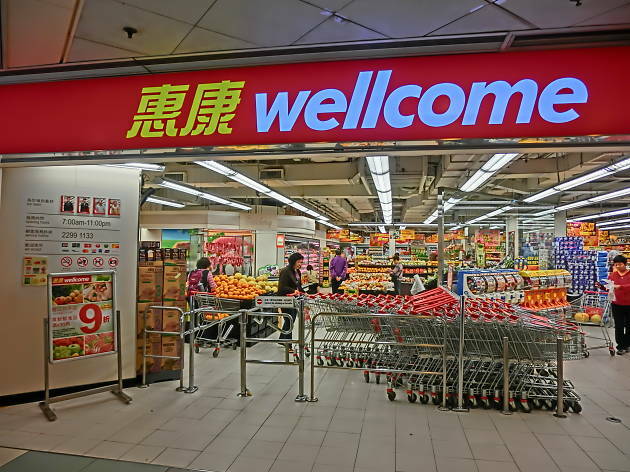 Smaller stores are super convenient and stock a wide range of fresh fruit and veg, fish and meat, as well as Asian and Western staple dry goods. Larger stores have a much wider selection, including live fish tanks, in store bakeries , deli counters and grind-it-yourself fresh coffee bean dispensers.